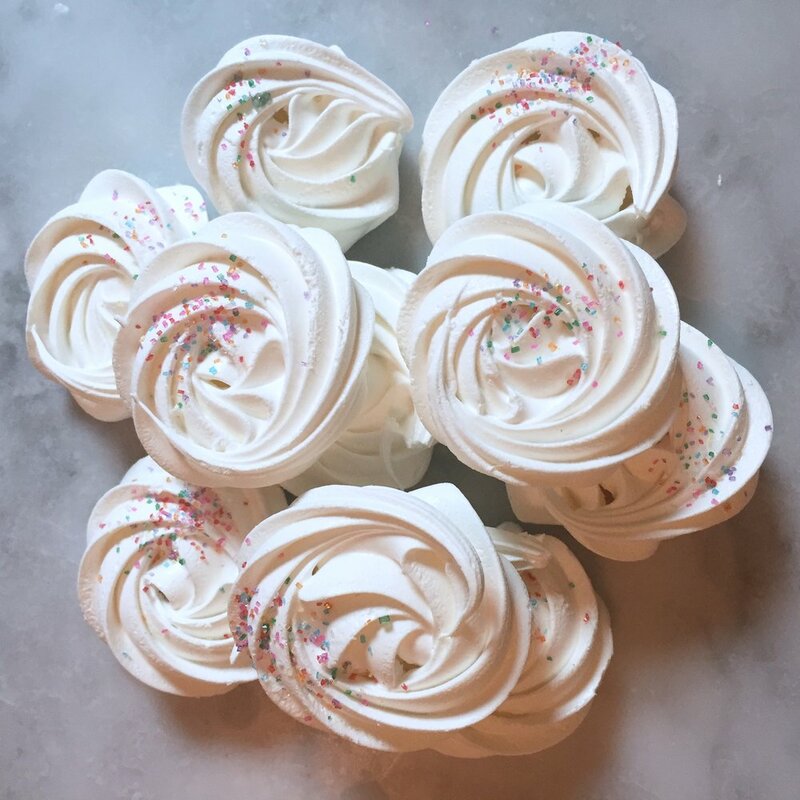 Our meringue cookies are made with organic eggs, natural flavors and natural colors (whenever possible). 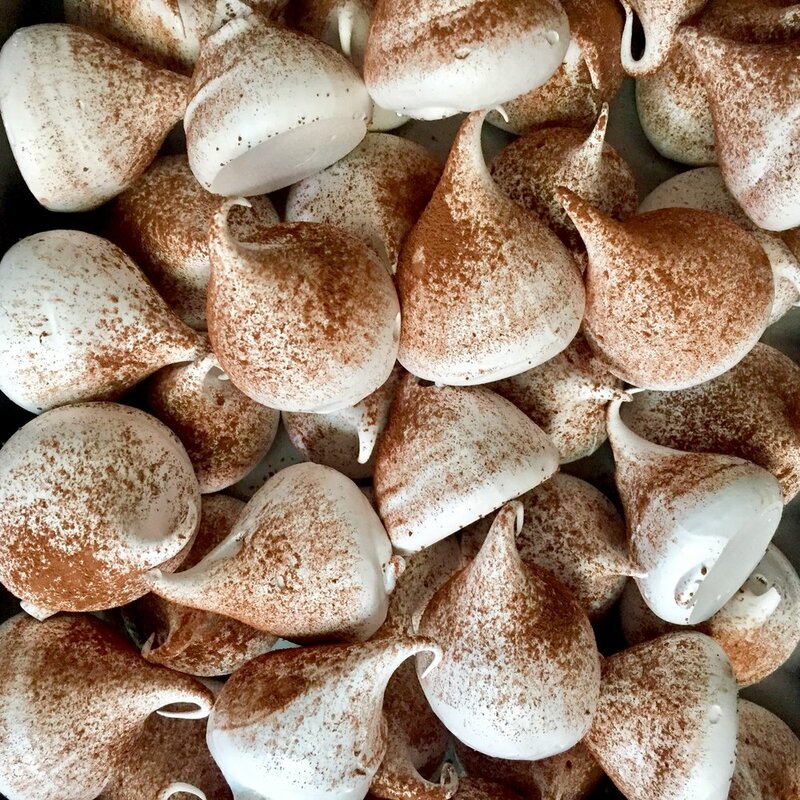 Crisp on the outside and marshmallowy on the inside, naturally gluten-free, everyone loves them! We can create custom colors & flavors upon request! Shelf life is 2 weeks. Those little treats make a perfect gift, for oneself or others! 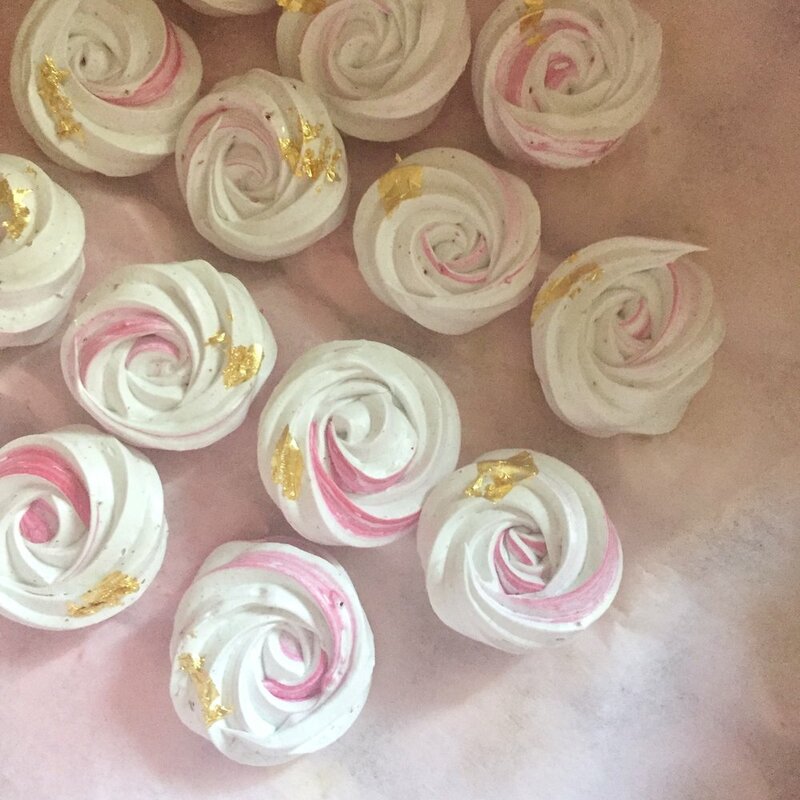 Meringues are shaped into pretty roses and placed in a 3'' food-grade box. We can add a ribbon or a sticker, please contact us for details. Size and flavors can be customized! Our signature kisses, in a 3'' food-grade box. They are the perfect favors for a baby shower, a corporate party or a wedding! We can add a ribbon, a sticker or a tag to personalize the boxes so they match your theme/event. * 10 boxes minimum per flavor. 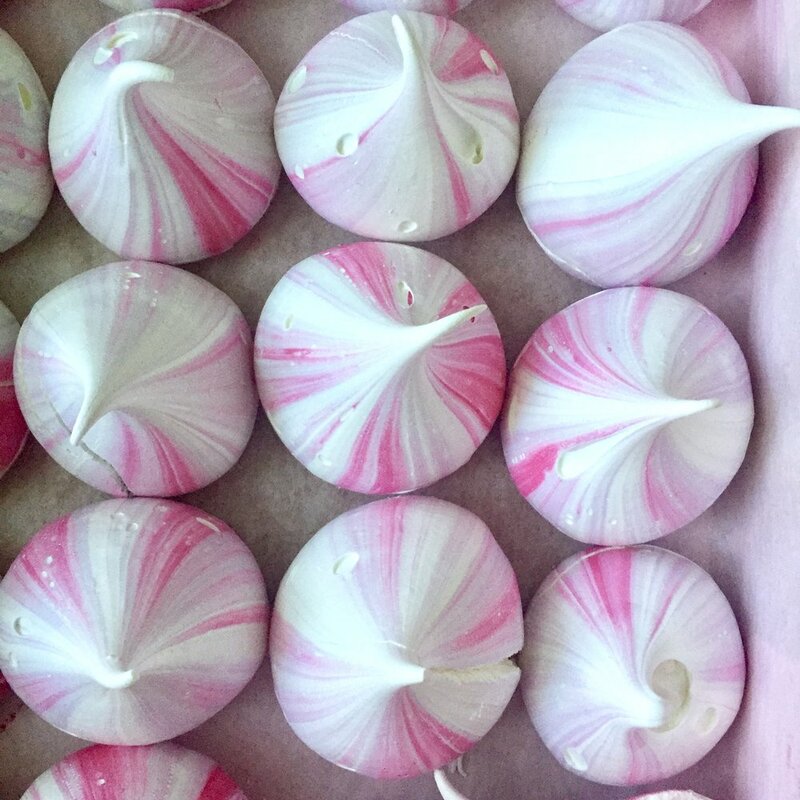 Assortment of mini meringues of different shapes, in a 2'' food-grade box. They are the perfect favors for a baby shower, a corporate party or a wedding! We can add a ribbon, a sticker or a tag to personalize the boxes so they match your theme/event. We can create custom colors & flavors upon request! 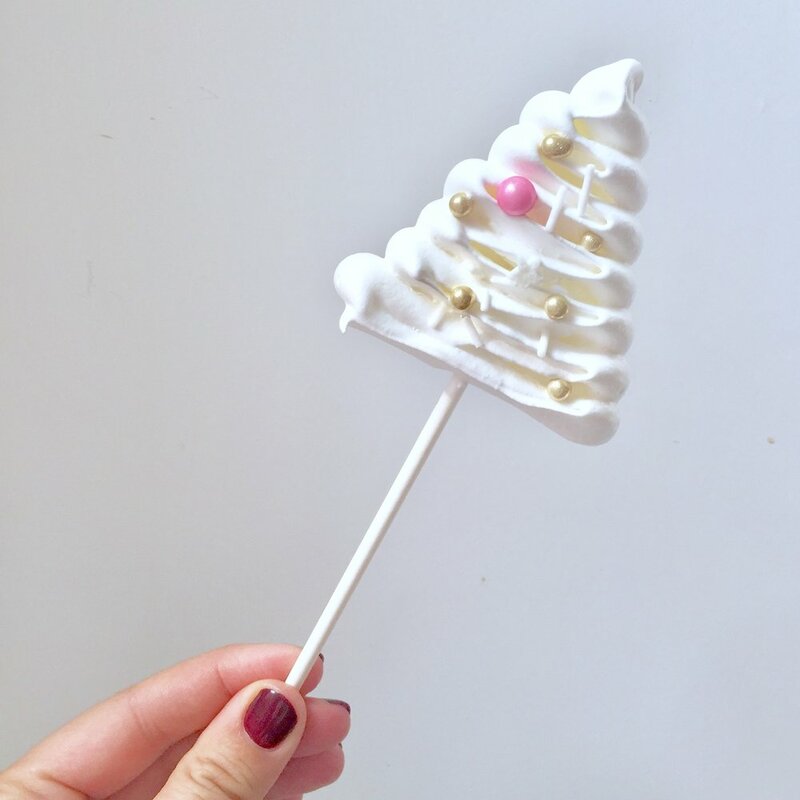 Those meringue lollipops are fun little treats for kids and adults alike!